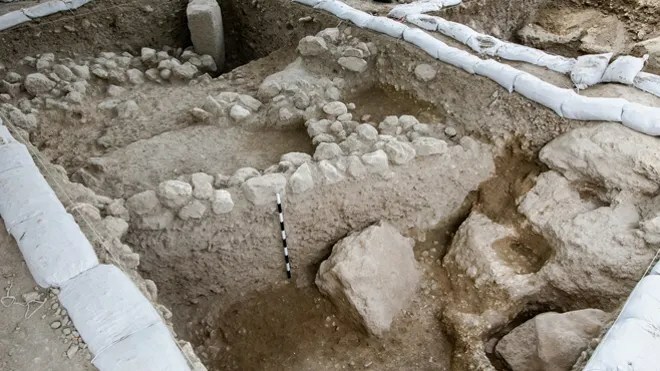 An archaeological excavation near Jerusalem has revealed a 10-millennia-old house and a 6,000-year-old cultic temple — discoveries that experts called “a fascinating glimpse into thousands of years of human development,” and evidence of man’s transition to permanent dwellings. 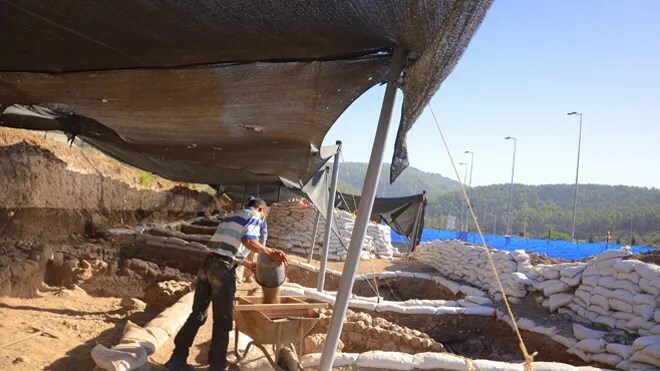 The ancient structures were found at the site of a planned expansion the main access road to Israeli city Beit Shemesh, called Route 38. The house is the oldest building ever found in the area and dates back to the time of the earliest known domestication of plants and animals. 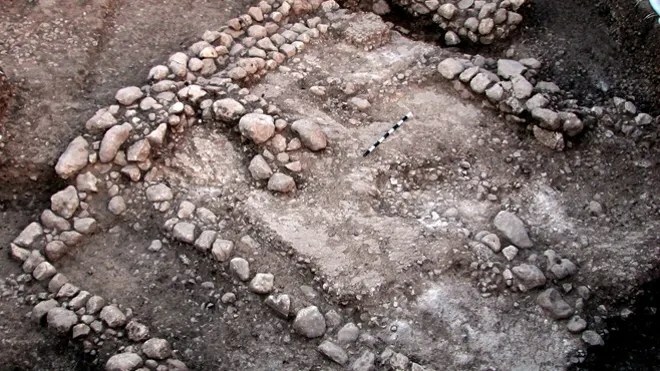 Golani explained that the find gave archaeologists a window onto a period 5,000 years ago in the Early Bronze Age, when a rural society made the transition into an urban society. Also among the finds were multiple structures from from the end of the Chalcolithic period (the Copper Age) some 6,000 years ago. 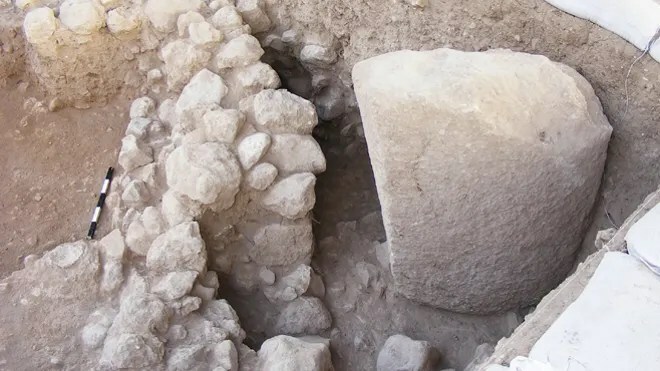 Archaeologists found a six-sided stone column standing 51 inches high and weighing several hundred pounds. A group of nine flint and limestones axes were also discovered laying side by side near the prehistoric building. “It is apparent that the axes, some of which were used as tools and some as cultic objects, were highly valued by their owners. Just as today we are unable to get along without a cellular telephone and a computer, they too attributed great importance to their tools,” the researchers concluded. 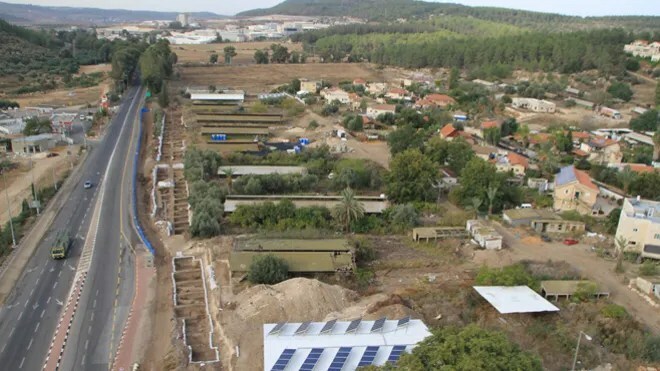 “It is fascinating to see how in such an ancient period a planned settlement was established in which there is orderly construction, and trace the development of the society which became increasingly hierarchical,” said Golani. The IAA and Netivei Israel Company will open the excavation to the visiting public this Wednesday, November 27.